$524.99 This may be in stock for quick delivery; please call! 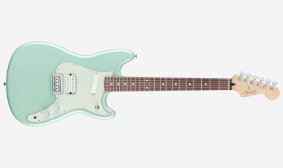 A modernized version of a student-turned-classic instrument originally released in 1956, the Duo-Sonic HS model's compact form belies its giant-sized sound. It's the ideal companion for adventurous players who aren't afraid to buck the norm and shatter expectations. This classic shorter scale was originally offered during the 1960s on Fender classics such as the Jaguar and Mustang guitars. 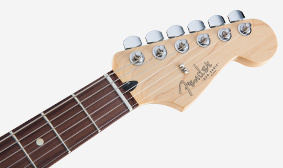 The 24" scale remains an authentic Fender design element still offered today. 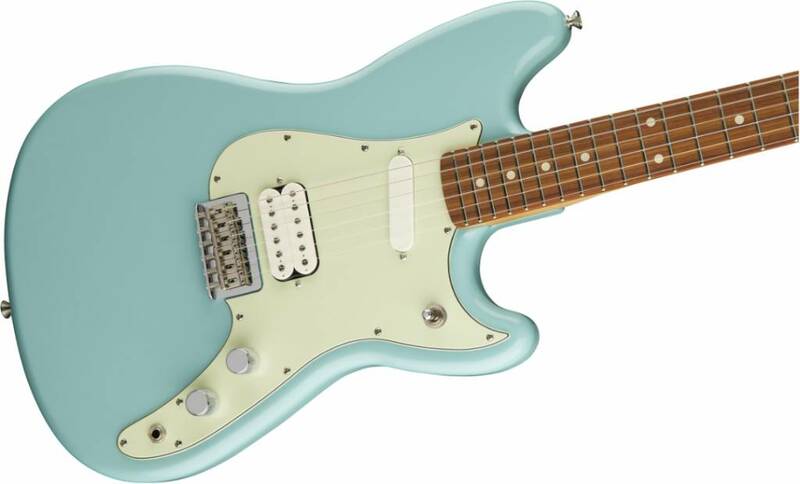 Clear and punchy-sounding, thanks to their vintage-spec output, Duo-Sonic single-coil and humbucking pickups add a unique character to the guitar’s voice. 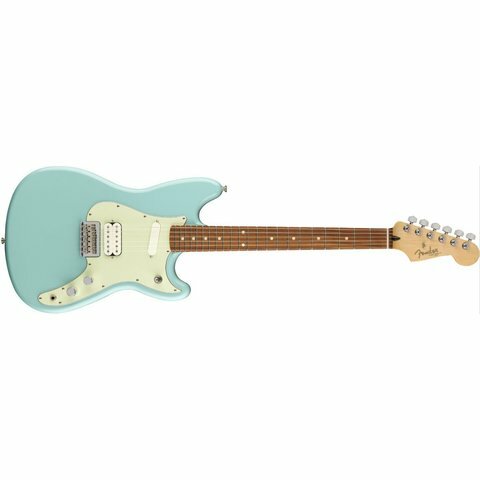 The instrument’s pure Fender tone shines through with enhanced upper harmonics and an articulate midrange that easily cuts through a mix. 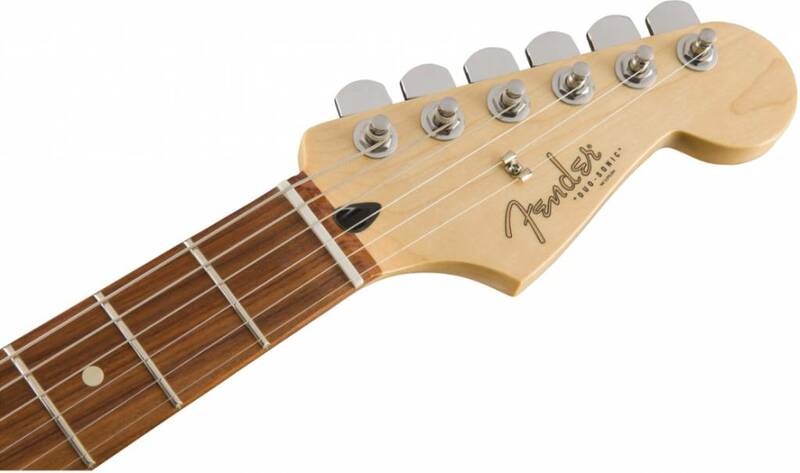 This instrument features a modern neck designed for comfort and performance, with a contemporary “C”-shaped profile (the shape of the neck in cross section), 9.5” fingerboard radius and medium jumbo frets—ideal for those who play with the thumb on the back or side of the neck. 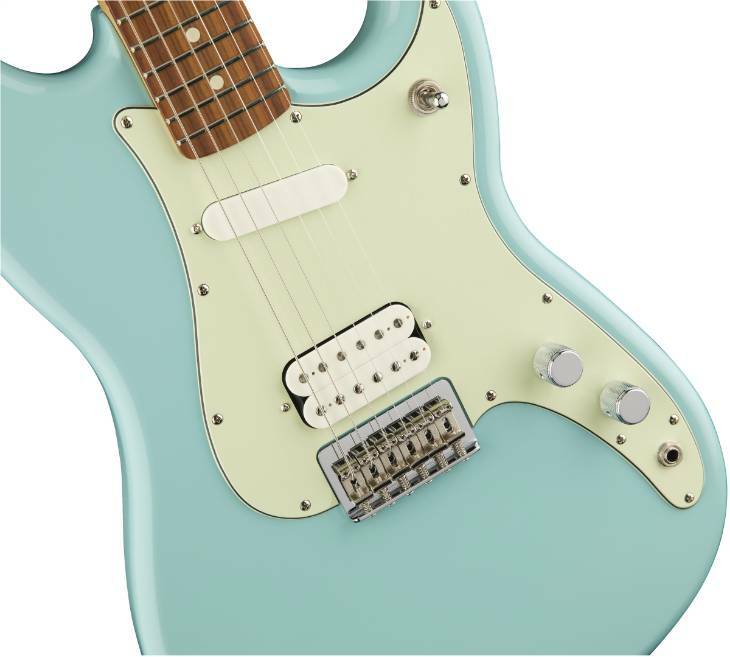 The Duo-Sonic features a three-way toggle pickup switch, giving you either the bridge or neck pickup alone, or both. 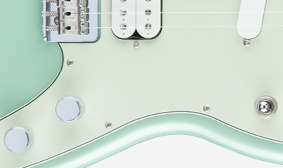 The push/pull tone control knob selects just the bridge coil of the Duo-Sonic humbucking bridge pickup, unlocking a variety of tones. 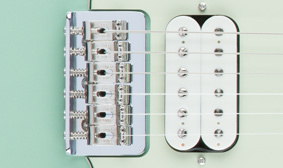 This model features a hardtail six-saddle bridge for solid tuning stability, precise intonation and increased sustain. 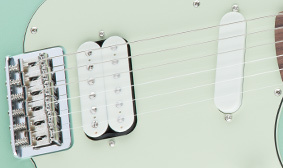 The string-through-body design enhances string-to-body vibration transfer for added sustain. 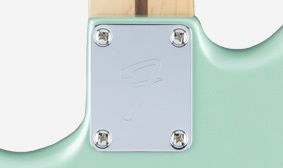 This Duo-Sonic model features a special neck plate engraved with a Fender “F” logo—a classic design element for Fender instruments.